Eaux-de-vie. Burned wine. Blame it on the Henny. Etc. Brandy is basically the corner stone of distillation and aging spirits as we know it today. Brandy is made from fruit. It is very common to see grapes used as in Cognac or Armagnac but apples, peaches, plums, whatever can be used. Without brandy we would not have drinks like the immortal sidecar or the Crescent City's beautiful Vieux Carre. Also, without Korbel, every bar in the state of Wisconsin would probably go out of business. Next time you want to play a fun drinking game pour yourself a nice fingers worth of rye and brandy next to each other and see if you can tell what is what. You would be surprised. The most planted grape in all of France? Ugni Blanc, ladies and gentleman. The king grape of Cognac. Of course as all of you know Cognac is located and fully AOC (Appellation d'Origine Contrôlée) protected right above Bordeaux in the chalky soil of north western France and has beach front property on Atlantic Ocean. About 100 miles due south you will find yourself in a much warmer and sandier climate known for not only growing Ugni Blanc but a few others such as Folle Blanche and Colombard. This of course is the Armagnac region also protected by an AOC. 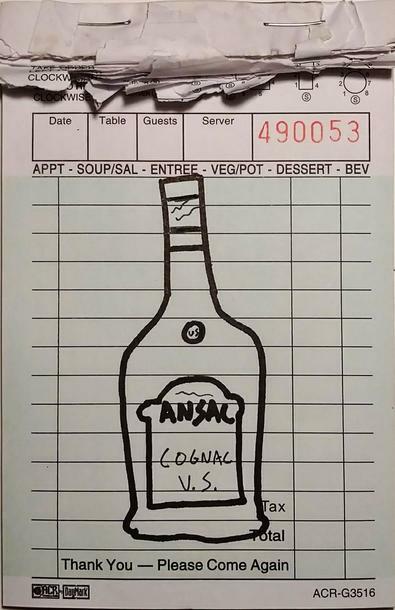 Armagnac is traditionally distilled once through on a continuous still while Cognac goes twice around in a pot still. This gives these two styles very different end results with alcohol ranging from 46-48% for Armagnac and Cognac sitting happily watered down to 40% abv. Armagnac is usually given a vintage date and Cognac is almost always a blend of a few vintages for consistency. Limousine oak can be used for both in aging but Armagnac usually tastes a touch fatter with a smoky earthy nose in the glass while Cognac blows off peach, pear, and orange notes with an herbal floral nose in your snifter. For cocktails at home, I recommend having a bottle of Pierre Ferrand 1840 kicking about or a bottle of Ansac VS. A good friend of mine likes to call it “camping brandy”. Also a bottle of Laird's Applejack will allow you to set the heat about five degrees cooler in your house saving tons of money over the years. If you are a Pisco Sour fan the Muscat grape is the star of the interesting spirit coming out of both Peru and Chile. They both argue over who does it best and both sides make it differently. Most people have no idea what the differences are and honestly most patrons don't want to discuss the intricacies between Muscat and Torontel grape distillate. They look at the bottles on the back bar and choose between the cheap one, the square one, and the one that looks like a spaceship.Just make sure you tread lightly comparing the two different regional styles. The locals are a bit touchy on who first produced it. If you want to be hip pick up a square bottle of Pisco Porton. It is a quality distillate and every now and then it is fun to whip up some Pisco Sours. Now onto more A-a-a-a-alcohol baby!